Singapore is one of the most dynamic countries in the world. Characteristic that can be especially seen in those individuals who work and live in urban areas. Most people not only have full time jobs, but also work extra hours in order to seize every opportunity. Unfortunately, this creates the rather difficult challenge of balancing the professional aspect of life, with the personal one. Luckily, there are solutions. One of them is hiring a domestic worker. Unfortunately, these individuals are usually stranger to the family or household that they work for and offer little guarantees in terms of security. Nowadays, the preferred choice of most people is to hire a part time maid. 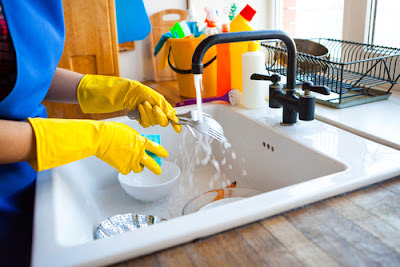 Compared to a basic domestic worker, these individuals are affiliates of various cleaning companies that usually accept full responsibility in case anything goes wrong. · Financially – Most people think that the cost of hiring someone through a cleaning company is much higher than hiring a maid personally due to the fact that the organization that they work for sets the prices. In reality, it is quite the opposite. The cost of hiring a maid on a part-time basis is perfectly balanced for the amount of hours worked. 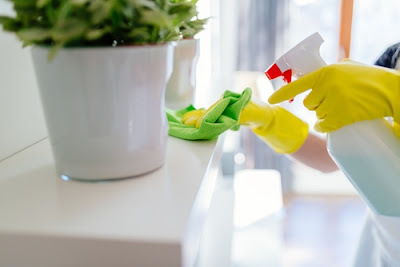 · Security – An important advantage of hiring a house maid through a cleaning service is the fact that the client will never have to worry about risks of letting a stranger into his house while he is away. The cleaning companies typically accept responsibility for all of the house cleaner’s actions. · Professionalism – When hiring an individual through a cleaning company, the client has the guarantee that he will receive a quality service. The cleaning service providers understand that reputation is extremely important for a business and only hire professionals. · Spend time doing what is important – hiring a house cleaner to work part-time gives you the option to focus on the things that are more urgent, while knowing that someone else will handle all the domestic chores while you are away. · Peace of mind – Probably one of the best things when paying someone to clean your house is the certainty that you will never have to go home to a messy home. Hiring a cleaning service guarantees the fact that the house will always be presentable and ready for guests. This having been said, there are also a few disadvantages of hiring cleaning maids. These are not in any way deal breaking, but they can create difficulties if not handled with care. · The need for training – When hiring a house cleaner, remember that although whoever comes to your house has sufficient training and experience in this line of work, every house is different. It is important to tell the maid of your various preferences regarding how the house should be cleaned and how it should look. · Expectations – Remember the fact that while a cleaning service only employs professionals, this does not mean that will do a better job than you could. Most maids will clean to the best of their abilities, in the allotted time, and then go home. · Change is not always good – Conflicts can arise in any kind of situation and the way most companies deal the moment when the homeowner and the maid don’t see eye to eye is to send a replacement. A new house cleaner means that all the conversations regarding the different preferences linked to how the house should look will have to be repeated. · It will still cost a pretty penny – Hiring someone part-time will always cost less than paying for a full-time service, but it will always cost. You will essentially be paying someone to do the things that you could do for free but don’t have the time. When you first call a cleaning agency and request the services of a part-time house cleaner, ask if they will provide the cleaning agent or if it will come from one of their clients. There are companies that act more as an organizational hub for various cleaning services while not actually providing a service themselves. This is neither a good nor bad. Nevertheless, it is always useful to know where the employee comes from. Another aspect that some people tend to misunderstand is the fact that they can actually trust the cleaning agent. Theft or property damage is extremely rare and most maids always handle everything with care and respect. It is a good idea to be home for the first few times when the house cleaner comes by, in order to help him or her better orientate around the house and to understand what exactly must be done in every room. However, after a while you can simply leave everything in the hands of the maid and go about your business. Responsibility is important but not necessarily law. Be sure to ask about the cleaning company’s service in case of theft and property damage. Some companies will accept liability of the entire situation, most of them will openly disclose the fact that they will leave the entire situation in the hands of the authorities. Always ask before anything has the change to go wrong. Be patient with the cleaning agent. As a rule of thumb, everyone needs some time in order to adjust to a new workplace. This situation is no different. Be patient and calmly correct the house maid when you don’t like something. Try to get along for at least four cleaning sessions before requesting that the company send someone else. Ask for information regarding the agency fee. Companies typically charge a fee that covers their administration costs, screening and anything else that may come up at their end. Also ask if the company offers any kind of guarantee period for the services that it offers. Companies will usually charge their clients for every replacement that they send, but there are some that offer “guarantee periods”. This means that an agency will provide free replacements for a set period. Hiring cleaning maids is the best solution that a hard-working working individual can find, when it comes to being able to enjoy life despite a busy schedule. There may be disadvantages, but most people have discovered that the advantage weigh more. A house cleaner should never be considered an intruder or a necessary evil, but an employee who can be trusted with personal possessions.